The mission of the Keuka Comfort Care Home that we will provide free, compassionate end of life care in a homelike setting to terminally ill residents of Yates County and surrounding communities, and will support their loved ones. You will become very precious to us in the time we share at KCCH and we deeply appreciate the trust you place in us as we care for you as family. We hope your time at KCCH will be one of comfort and healing for your entire family. KCCH will provide meals and snacks to the resident and offer hospitality to family and friends. We will try our best to accommodate any special requests your loved one may have. Families often bring in favorite foods they know their family member will enjoy. Our residents have access to a phone. Residents are also welcome to bring their personal cell phone. Wifi is available for residents and their families. Many residents and family members use their personal laptops to use Skype. If a resident would like to receive emails but does not bring a lap top, they can receive emails through the director@keukacomfortcarehome.org email address. The director is happy to send email updates to family members if they wish. 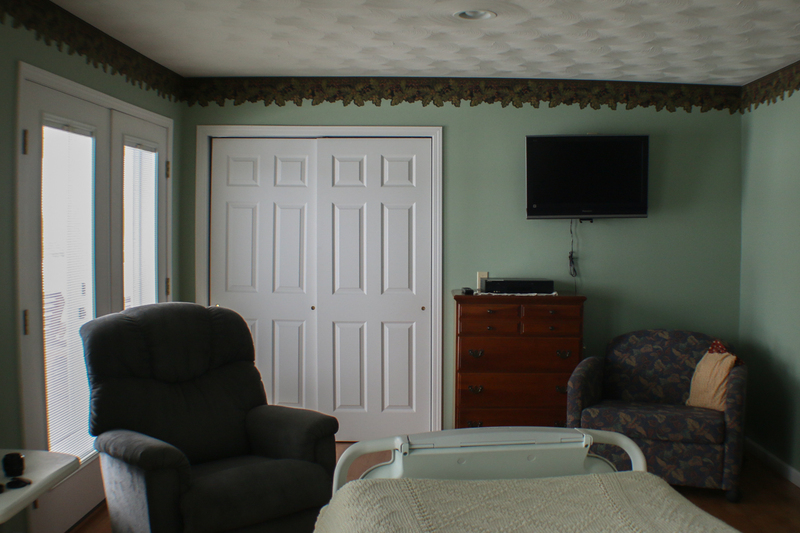 KCCH has Cable TV in both residents room as well as the living room and family room. KCCH does not keep traditional visiting hours. We encourage visitors to come anytime. This is your new home, and we welcome family and friends to come and go as they please. Family members often wish to be close by, and KCCH is happy to have families together during this part of your life’s journey. Our family room has two twin sized beds with a connecting bathroom in our downstairs area. 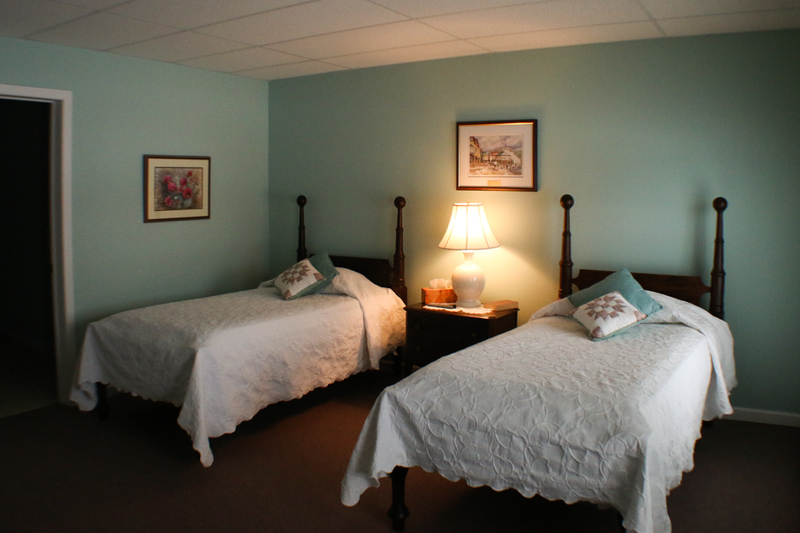 Additionally, our resident rooms each have a chair that folds out into a bed.